There are many houses of this style in Toledo, Ohio. 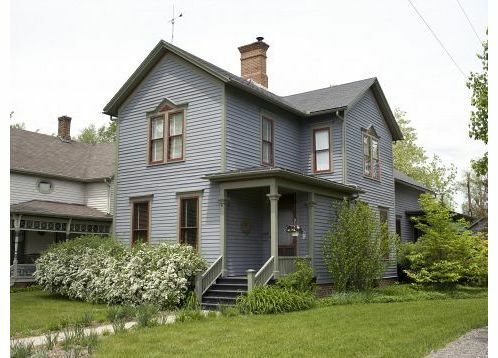 One example, built in 1887, is located at 1512 Vance Street, Toledo, OH 43607. Too bad somebody covered it with gaudy, yellow aluminum siding. Posted 8 years, 6 months, 18 days ago.